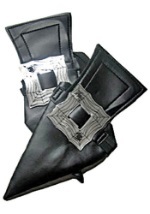 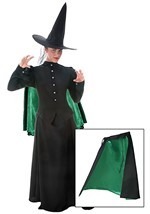 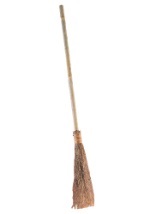 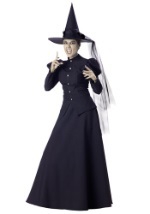 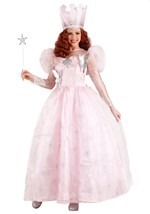 This deluxe womens deluxe witch costume gown is made of a high quality polyester material. 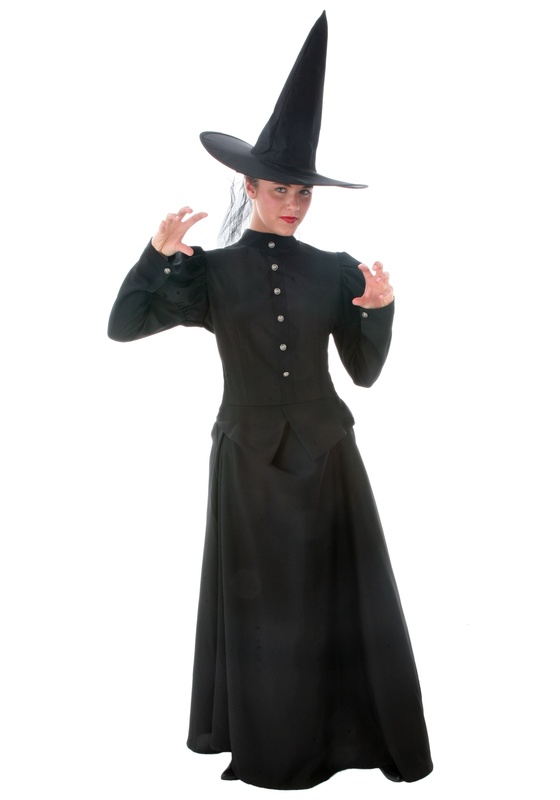 The full length gown zips up the back and has metal button accents up the front. 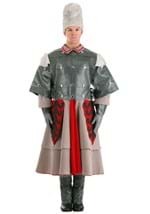 The gown is fitted at the arms, chest and waist. 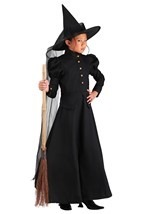 The black tulle petticoat gives the gown's A-line skirt a fuller shape. 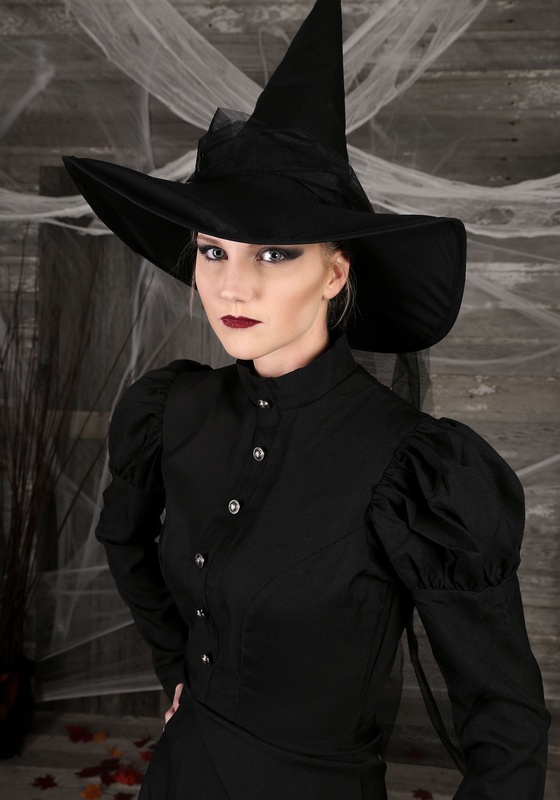 A black witch hat is included. 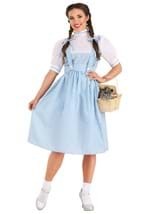 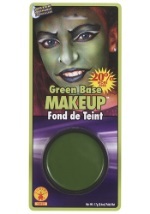 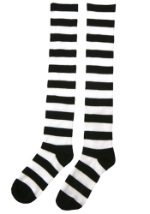 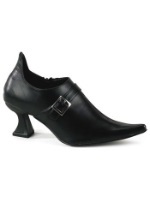 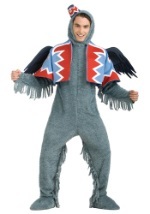 This costume is also available in a plus size!